Like your voice recording app, but way worse. On this day in 1877, Thomas Edison publicly debuted the phonograph, the first device ever to record and reproduce sound. Those who attended the demonstration recall the phonograph "speaking" to them as if it were carrying out a conversation—a prank that is now quite literally the oldest trick in the book. The phonograph worked by translating sound vibrations from a mouthpiece onto tin foil. The tin foil was molded onto a small cylinder, which rotated via hand crank to allow a small needle to make indents in the foil. The sound was faint and crackly, but loud enough to freak out 19th-century audiences. Edison claimed the phonograph was his favorite invention, but history shows he worked very little on it after its patent. (He was busy with other things.) That is, until Chichester Bell, Alexander’s cousin, began publicizing his latest creation, the Graphophone. By replacing the tin foil with wax and outfitting the needle to cut into the recording material rather than make an indentation, Bell solved the problem of Edison's original invention—that recordings would fade away after only a few plays. 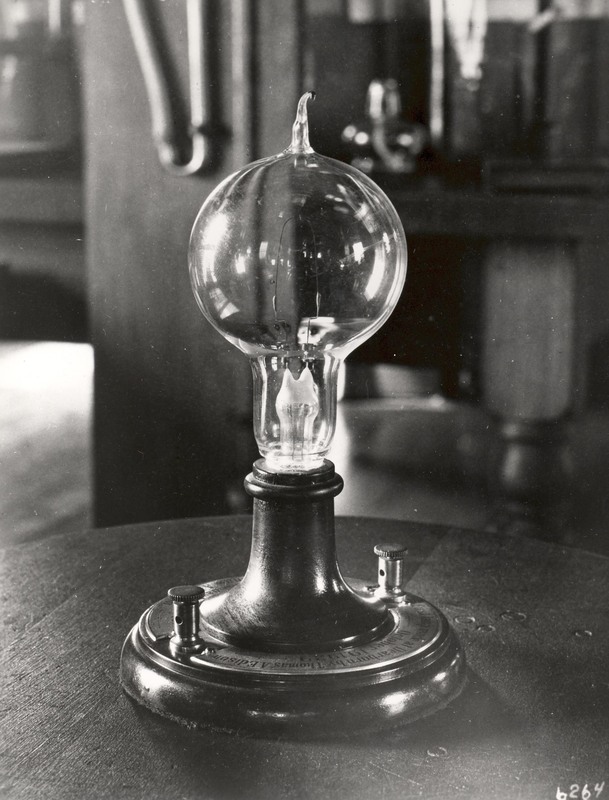 Bell and his associates offered to collaborate with Edison on later models, but the Wizard of Menlo Park declined. Instead, he went all in tailoring his invention to a very specific audience: court stenographers. The Hull Packet: "A Wonderful Telephonic Invention"
Library of Congress: "History of the Cylinder Phonograph"
Smithsonian: "How the Phonograph Changed Music Forever"
Rutgers: "Thomas Alva Edison Biography"